As the aquarium is busy gearing up for the fast approaching sea turtle stranding season, we are excited to award the October Volunteer of the Month to a dedicated Rescue Rehab volunteer, Kristina Williams! 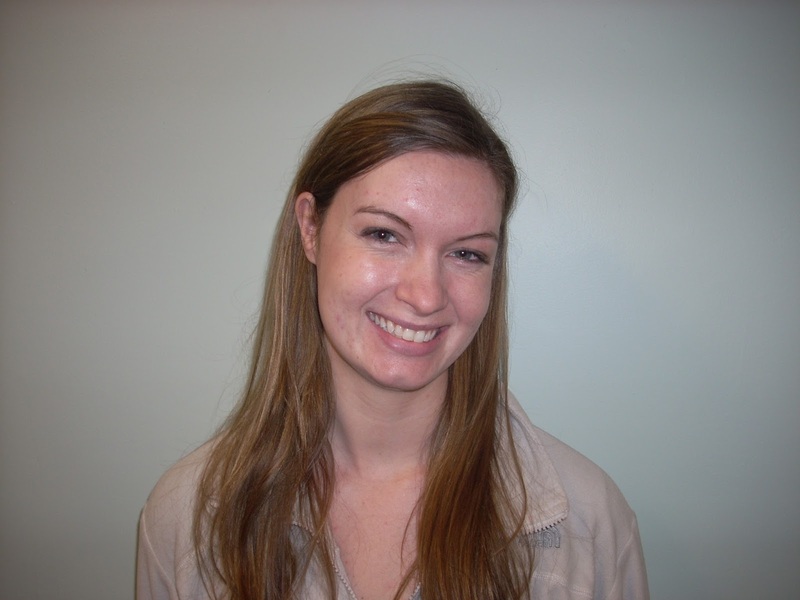 Kristina’s limits to volunteering truly have no boundaries as her supervisor explains below in great detail. We are grateful for her service and wish her the best of luck as she applies to vet schools! I would like to nominate the one and only Kristina Williams! Kristina Williams began as my very first necropsy volunteer for the rescue and rehab department in early 2012. Since then, she has donated well over 1100 hours of service. Over the past four years Kristina has taken on many odd tasks that go along with being a necropsy volunteer. 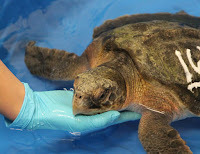 There is the obvious: assisting in post-mortem exams for loggerhead sea turtles, shark-bitten seals or parasite-infested dolphins. Then there is the less obvious and less glorious: creating a searchable inventory of the ancient archives of thousands (literally) of frozen samples of itty bitty pieces of who knows what sort of tissue that have been in our collection since before she was born; or there is also the cleaning of the goo left behind when the carcass freezer breaks and everything inside thaws. Whatever task I ask Kristina to do, she always tackles it with patience and enthusiasm and a big contagious smile. During our busy turtle seasons she jumps right in and fills any role that is asked of her quite seamlessly. Kristina quickly became my right-hand woman during post-mortem exams as her attention to detail and organizational skills are incredible. I rely greatly on Kristina to train new volunteers in proper techniques for tissue sample collection. Most recently, she has filled the role of primary prosector in fresh pinniped necropsy exams when I am not available to conduct them myself. She confidently leads a team of less experienced volunteers and interns to assist her in sample collection and data recording. Upon my return to the lab, I am always pleased to see that all of the samples are collected and stored appropriately, quality images of gross lesions are taken and the lab is spotless. I believe in Kristina’s necropsy skills so much that I invited her to travel with me to other partner organizations in New York and Virginia to help process large volumes of dead stranded bottlenose dolphins during an Unusual Mortality Event in 2013. Kristina was beyond helpful and always maintained a professional demeanor when interacting with other staff and volunteers of other organizations. One thing that stands out to everyone in our department is how thoughtful Kristina is. During our busiest turtle season, Kristina offered to come in extra hours in the morning before going to her full time job to help us swim and feed turtles. Her day started very early with us and when she left here at 1PM it wasn’t the end of her day. She was headed to fill the second shift at the vet clinic she works at. Before she hit the road, she ordered and delivered two hot pizzas for the turtle team that was still busily working through their lunch breaks. I think she knew that we could only sustain on a strict diet of Munchkins for so long. Kristina is one of the busiest and most hard-working people I know. In addition to working full time at an emergency vet hospital she is also studying very hard to get into vet school. Yet she still makes volunteering with us a priority. And this effort and dedication to our mission should not go unnoticed. 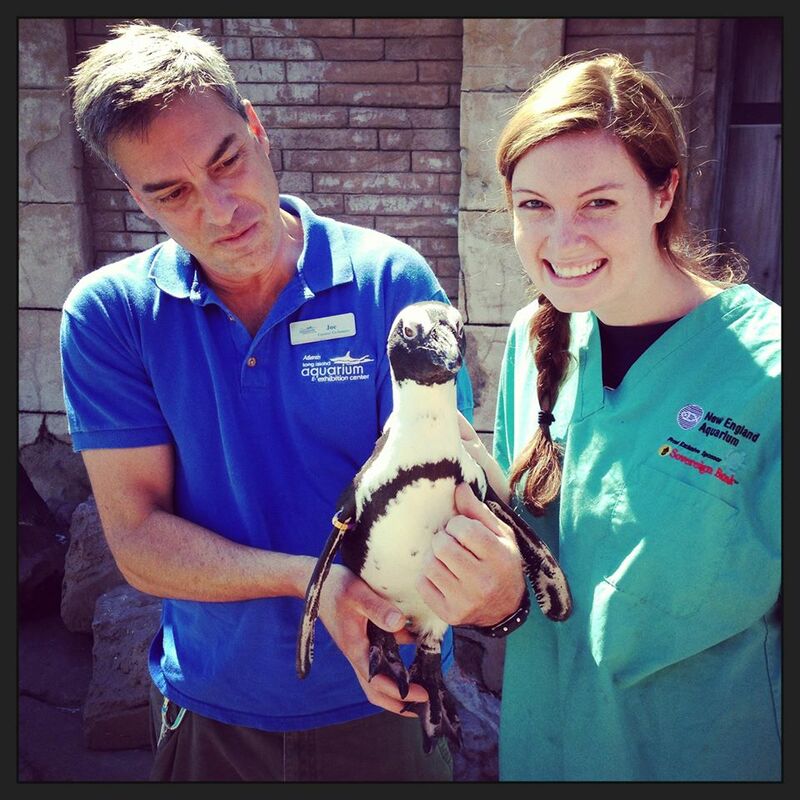 She is a great representation of an NEAQ volunteer. For these reasons, and many many more, I gladly nominate Kristina Williams as volunteer of the month for October.